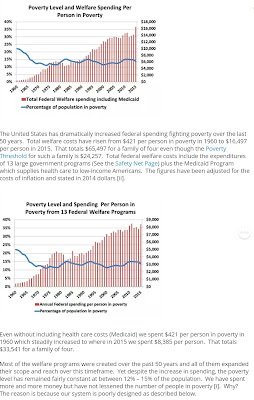 The War on Poverty, which started in the 1960’s, and progress on improving civil rights has stalled. The question is why! It was not because insufficient funds were dedicated to address the issue. It was not because of bad intentions and/or programs. It was because of poor implementation, follow through and the will to do what was needed to succeed in an efficient manner. 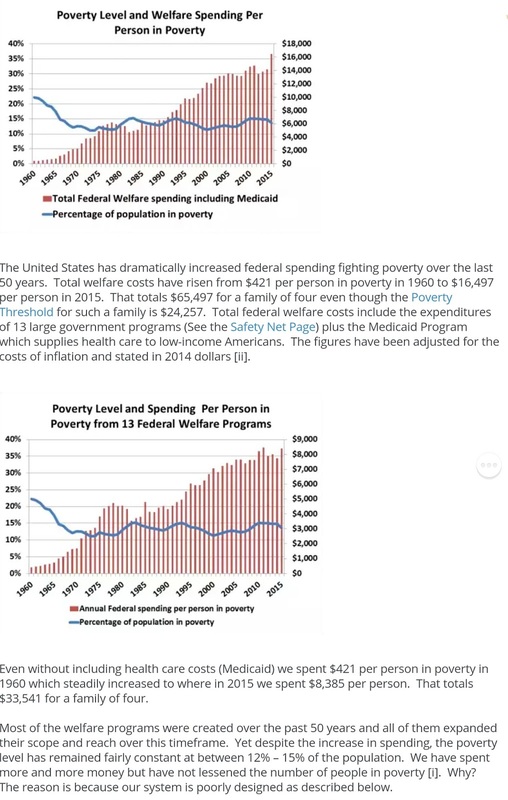 The graphic below was taken from http://federalsafetynet.com/poverty-and-spending-over-the-years.html with the numbers being adjusted for inflation. The above clearly shows that money has been expended but not very wisely. This is what the white, working class, inner ring suburbanite is upset about. He is working hard, barely making his ends meet while others are receiving the same level of money and not working. Their frustration is compounded because the programs that were suppose to remove minorities out of poverty, namely education, have not worked well. Detroit Public Schools is a good example of the problem. We are doing something wrong and we need to figure out how it can be fixed. The problem lies somewhere between politicans allocating the funds and bureaucrats implementing the programs in an efficient manner. Congress allocates the funds and there is no follow up. We need to treat education in the same manner as our military. With the military our government first decides what is needed in order to have the strogest military in the world and then we allocate the necessary funds to make it happen. With education we first decide how much we are willing to spend and then wrestle with how best to spend it. This needs to change. Clearly education is as important to our future as is the military. Our victory over Japan proves this. Just think if Japan perfected the atomic bomb before we did during World War II. The city of New York may have been destroyed instead of Nagasaki. The politicans don't pay a price for lack of efficiency. They are busy raising funds for their next election and giving no thought to how the programs they ratified are doing. This needs to change.